The dandy first appeared on the scene in late eighteenth century Britain just as the bourgeoisie was coming into vogue and a new leisure class was becoming a la mode. They aspired to the aristocratic aesthetic and lifestyle, seeing themselves as a cut above the working class in all manner of things. But it was in sartorial pleasures that they distinguished themselves, drawing attention to their status through garb. For many, clothes make the man—but the dandy makes the clothes, so seamless is his style that he embodies the timeless spirit of chic. The bourgeoisie grew in power and influence at the same time European imperialism conquered the globe. With political and economic oppression and exploitation came an unexpected twist: the transmutation of dandy culture into new realms. 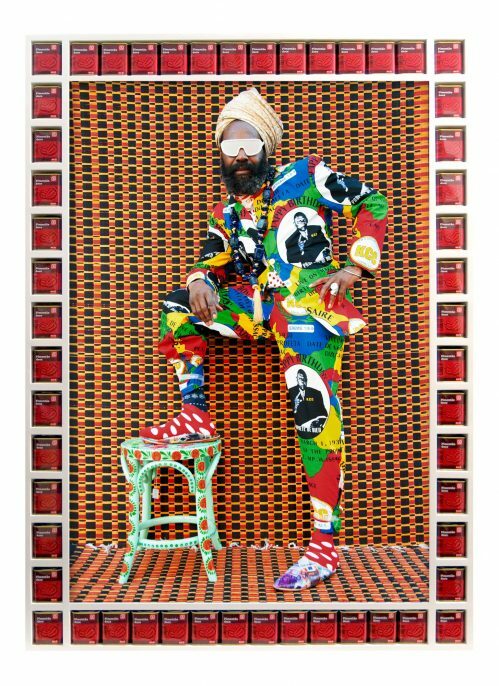 Hassan Hajjaj, Blaize, 2015; from Dandy Lion (Aperture, 2017). 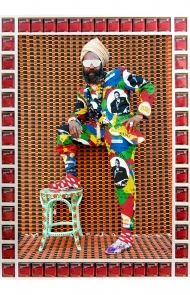 © Hassan Hajjaj, Courtesy Taymour Grahne Gallery, New York, U.S.A. 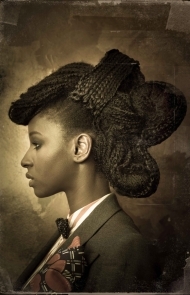 In black culture across the globe, the dandy was more than a symbol of middle class yearnings—it was a radical act of self-expression and independence. 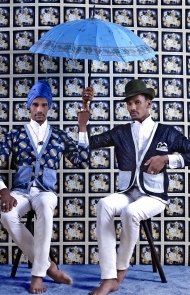 The black dandy takes from the traditions of European fashion and subverts the aesthetic by infusing it with elements of the African diaspora. Where the European aesthetic has come to embrace subdued tones, clean cuts, and understated effects, the African sensibility embraces color, pattern, and contrast. The result is visually daring and dedicated to distinction. 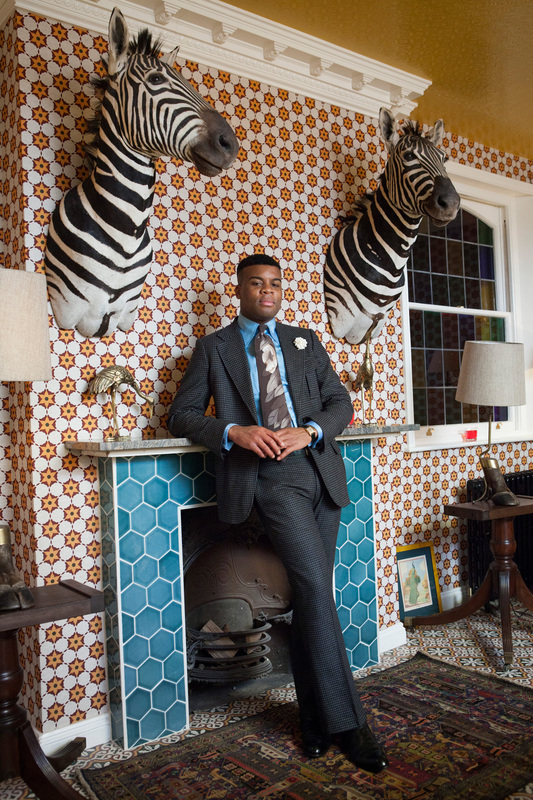 Curator and researcher Shantrelle P. Lewis has dedicated herself to examining the dandy in black culture, looking at the ways in which race and ethnicity, masculinity, and style have brought the culture forward. 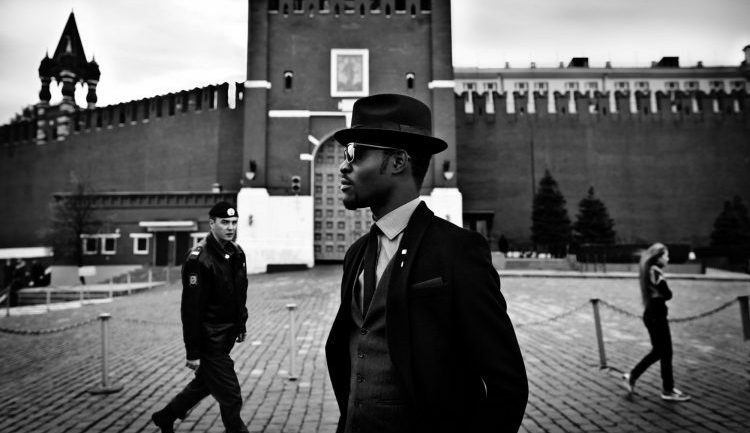 Dandy Lion: The Black Dandy and Street Style (Aperture) is a majestic document of black men in the twenty-first century. The book began as a curatorial project Lewis undertook, with the inaugural exhibition held at Society HAW’s Harlem Pop Gallery in 2010, featuring the work of 14 photographers of African descent created exclusively for the show. Over the intervening years, The Dandy Lion Project has grown in profile and scope, culminating in this incredible volume of photographs, personal histories, and meaningful insights. 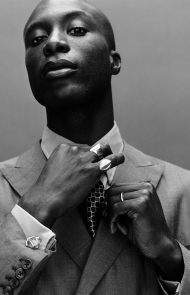 Lewis showcases the movements, destinations and happenings, people and personalities, designers and tailors, and photographers who have established the black dandy as a global phenomenon. It is all here, from the Rude Boys to La Sape, Street Etiquette to Jidenna, Janelle Monáe to Amar’é Stoudemire, Omar Victor Diop to Hassan Hajjaj. Dandy Lion is a veritable who’s who, brilliantly researched and beautifully contextualized. Perhaps what is most telling about the book is the sheer originality and creativity of all those who have done the work. Dandy Lion is a testament to legacy and innovation in equal part, and study of men’s style at its ultimate height. Dandy Lion is what happens when originators lead, when they draw from sources and reinvent references so that something wholly new occurs. 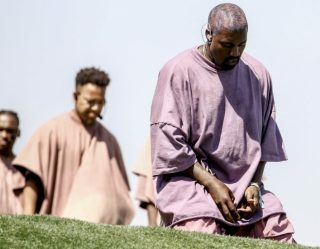 Much in the same way, it is reminiscent of Hip Hop, which came from DJs who found rare grooves and played the best parts. They hid the labels, keeping their secrets to themselves, and in doing so they created an entirely new style and sound that was a testament to genius and skill. The men featured in Dandy Lion are crafting their own realm, creating culture on their own terms. Taken as a whole, one of the best things about Dandy Lion is the way that it defies time and space, giving us an AfroFuturisticRetroPlaylistic kind of vibe, moving backwards and forwards, East and West, North and South—all at the same time. It fuses fashion, style, photography, art, and history into the perfect blend.